Heritage Greens is located on the eastern edge of the city of Hudson, WI close to I-94 and Highway 35 access. 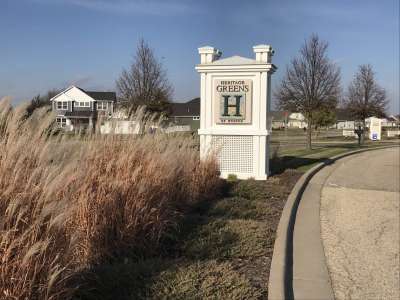 This neighborhood is comprised of single family homes and townhomes and offers its residents open green spaces with homes built around the ‘village green’. The community combines natural beauty and a healthy lifestyle with the small-town atmosphere of Hudson WI, surrounded by bluffs and St. Croix River. Enjoy the classic style of how a neighborhood was meant to be, when you visit Heritage Greens in Hudson WI. …and green space for neighbors to gather. Heritage Greens is nestled in the beautiful city of Hudson, WI and located in the heart of the St. Croix River Valley, combining natural beauty with the small-town atmosphere. Come see what Hudson has to offer your family, all just 20 minutes east of the Minneapolis/St. Paul metro area.